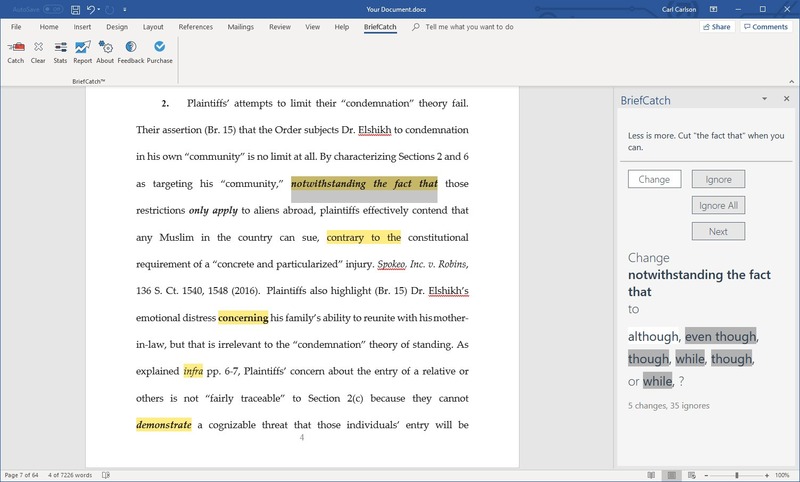 BriefCatch Legal Editing Tool: Tighten Your Text. Reward Your Readers. Tighten Your Text. Reward Your Readers. 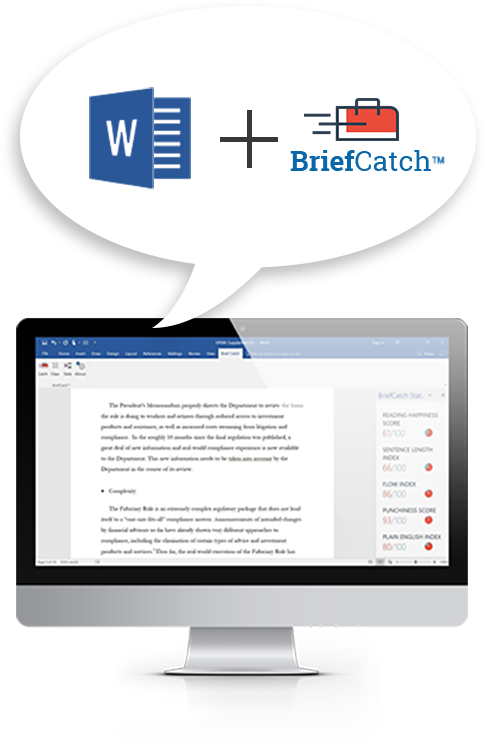 BriefCatch is a first-of-its-kind, sophisticated editing tool that will improve any document by generating instant feedback and suggestions. 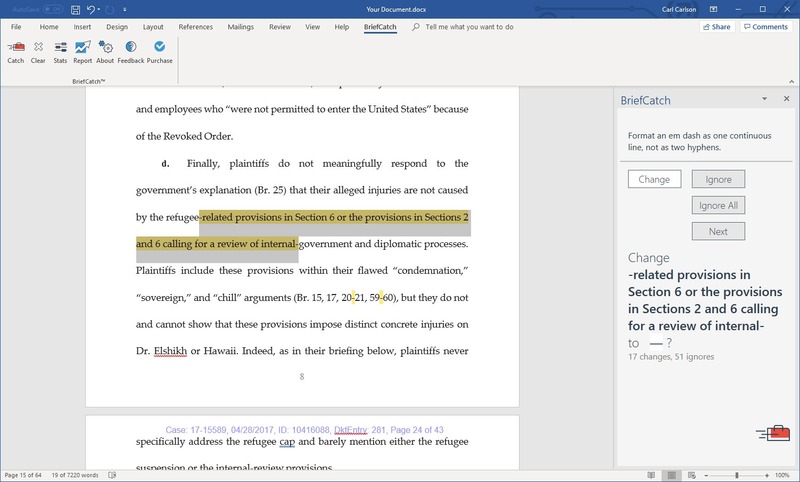 BriefCatch works with you right inside your document. You'll get instant feedback and suggestions tailored to your needs. 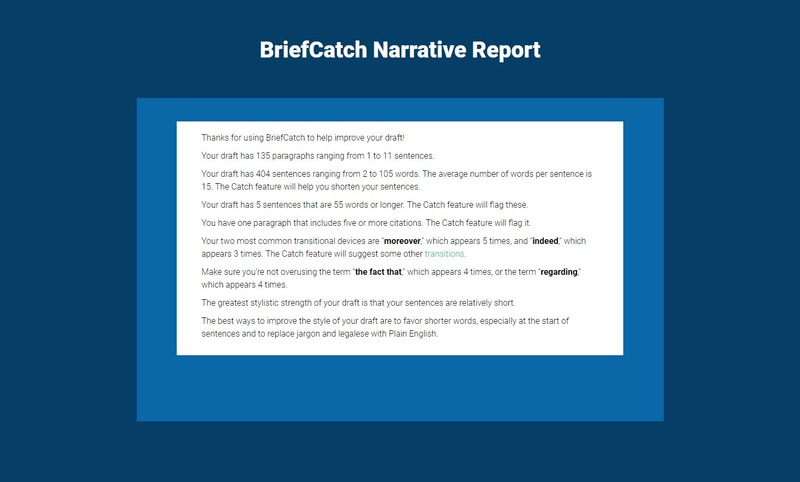 BriefCatch teams up with you to help make your writing shine. You decide to accept or ignore each suggestion, maintaining control as you navigate the highlighted matches and choose the best suggested change. You can also get scores on your entire document and match wits with the world's best writers. BriefCatch offers five proprietary scores, with each yielding a top score of 100. Get tailored feedback based on thousands of editing suggestions. In just seconds, you'll see your draft sharpen and tighten. Choose among a menu of suggestions. Or choose none at all. You can even disable a catch or flag for the entire document. Flag words, phrases, and habits that secretly bother many readers. Spot inconsistencies in wording, formatting, and punctuation. Flag unusually long or cumbersome sentences, repetitive wording patterns, citation errors, and typos that other tools miss. 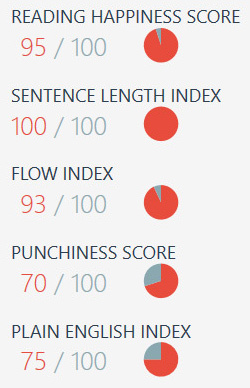 Generate custom scores that give you real-time objective feedback on your document’s flow, style, and readability. BriefCatch is a Word plug-in that offers editing suggestions that you can implement in real time. 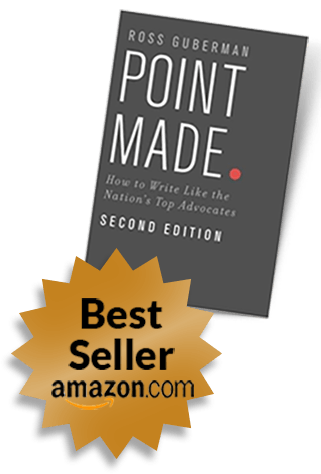 The program not only catches common mistakes but spots editing and advocacy opportunities that many lawyers and other writers miss. After each suggestion, just click “Change” or “Ignore.” You can also get feedback on the readability and flow of your entire document, and you can even generate a tailored custom report. If you make some of the suggested edits, your writing will be more concise, polished, and convincing. And you’ll save time. In both its breadth and its depth, BriefCatch will help you more than any comparable product can. Guaranteed. Your clients and other readers will thank you. 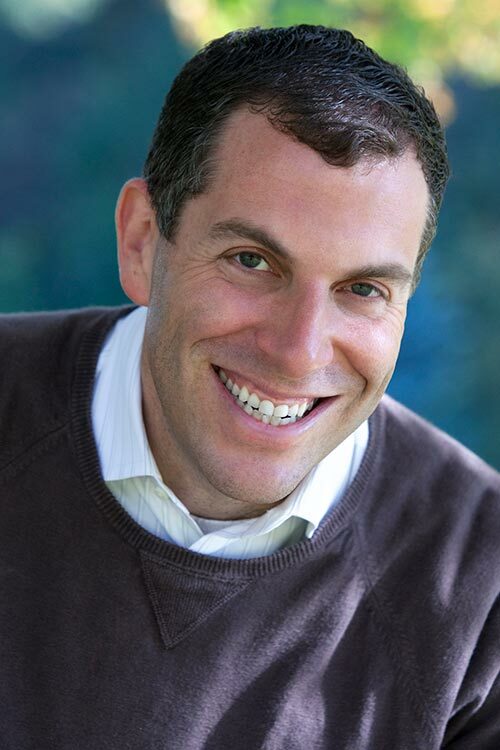 The creator of BriefCatch is one of the world’s most in-demand writing trainers, the author of the bestselling book on brief writing, and a consultant for many of the most prestigious law firms and courts. 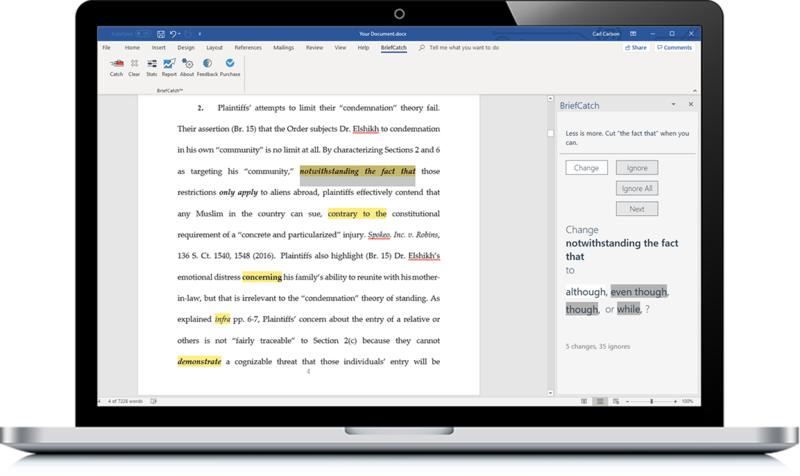 To use BriefCatch, you need Windows PC with Microsoft Word. Mac is not yet supported. How BriefCatch Can Help You? Try BriefCatch now, risk free, for two weeks. Sign up now to take advantage of our special inaugural pricing! Individual or enterprise packages available. What Unique Features Does BriefCatch Offer? Ross's newest product, BriefCatch, is a first-of-its-kind editing add-in. Its devoted users include lawyers, firms, judges, and courts around the world. BriefCatch was named one of TechnoLawyer's Top 10 Legal Tech Products of the year. How has BriefCatch helped people like you? Everyone needs an editor. 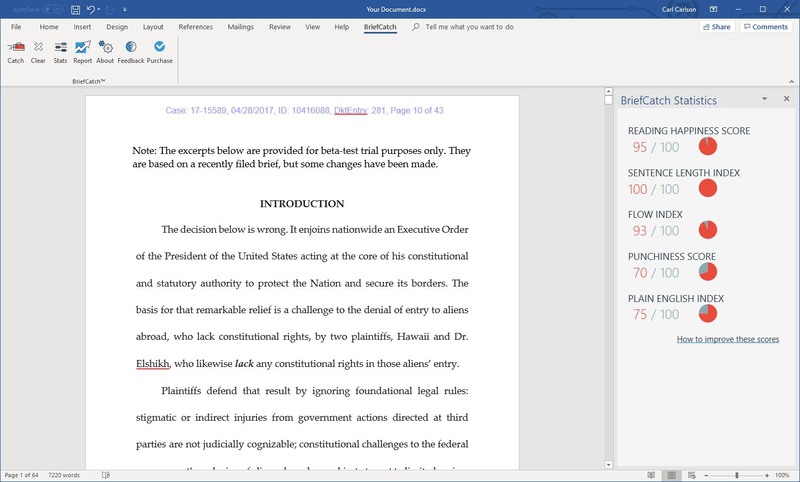 With BriefCatch, not only can you have the nation’s premiere legal-writing expert as your own personal copy-editor, but you can receive his invaluable feedback instantaneously. BriefCatch is an excellent tool. I used it to edit a brief that I had already “edited” and that I thought was near its final form. BriefCatch found many areas that could be condensed or reworded. It provided thoughtful, practical suggestions for streamlining those problem spots. The result was a tighter, more readable brief. The whole process—for a 10,000 word brief—took me less than two hours, and the results were well worth it. I highly recommend it for litigators who frequently write. Finally. With BriefCatch, Ross Guberman now sits beside me–with his gentle and ever-so-useful suggestions—all to sharpen my brief writing. Thank you. Read more enthusiastic feedback of BriefCatch. BriefCatch is Free to Try! Our support staff is ready to assist you! Our extensive help documentation will answer the most common questions and issues you may experience. You can also contact us directly with any questions or inquiries.